Description: Huntsman has here worked with Codis Maya, one of the best-known makers of luxury enamel cufflinks. On each pair, the depth of enamel layers reveals the Huntsman stag while the other sports one of Huntsman's favourite herringbone designs. 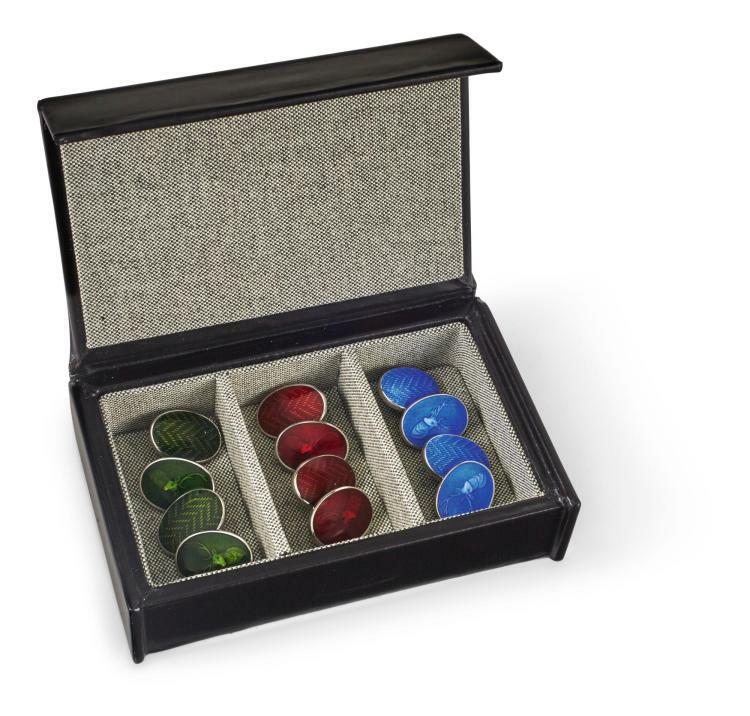 For this lot, Huntsman commissioned Simpson Leather to create a bespoke leather box housing the three sets, red claret, royal blue and vivid green so you will travel in style, always with the right colour on hand. British hallmarks, accompanied by fitted case. Condition: Reverse of each cufflink stamped with British hallmarks for silver, Birmingham and sponsors mark HH. In good condition.